Ron and Jean Paull came on staff with ABM in 2016 while they still lived and ministered in a remote Kodiak Island village. 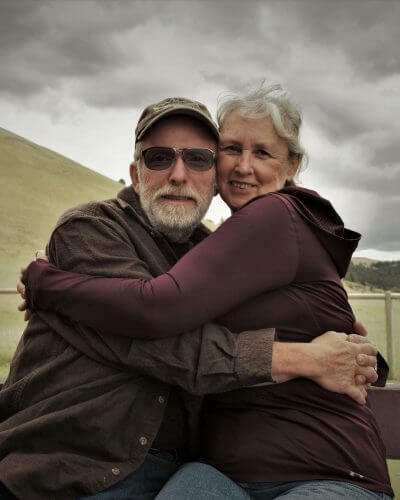 Over their fifty years together they befriended and worked with people from many walks of life, which includes seven years in the Alaskan bush. Ron served in the military, law enforcement and various other fields of employment from New England to Kentucky, Florida, Utah, Montana, Washington State, Colorado and finally Alaska. This couple met in the mid-sixties and married in 1968. Though influenced by the church, their actual “walk with Christ” began much later. Ten years into marriage with love nearly extinguished they almost lost the relationship. Ron pursued his dream of becoming a recognized custom gun builder, but at the cost of his wife’s work to keep them afloat. Jean also raised their four children almost entirely alone. God’s matchless grace pursued them, and after years of endeavoring to forge their way through life, Ron surrendered to God. He enrolled in Bible college and then graduated with a Master’s degree in counseling from Denver Seminary. God provided the means to finance his education every step of the way. Jean worked while Ron finished his training, after which they returned to Montana and into active ministry. Jean became part of Ron’s counseling ministry, which they did exclusively for a few years. After suffering burnout, they took a break before they re-entered ministry as a pastoral couple in bush Alaska. For more than seven years, the primary means God used to hold their hands were those of the Arctic Barnabas team. This relationship prepared them to join the ABM mission. Jean also ministers through her love and skill for quilting, and remains Ron’s constant and uncomplaining companion and fellow laborer for the cause of Christ.